The least expensive energy is that which you never use. Bundle up with eco-friendly insulation and energy efficient ventilation and start saving money now! We specialize in the installation of high-performance, eco-friendly insulation such as blown-in cellulose made from 100% recycled newsprint. Given sufficient attic space, properly installed blown-in cellulose can increase your attic insulation to R60 – which is about 50% better than even brand new homes built to Ontario Building Code 2010 requirements. For a more natural touch or for alternative wall cavity insulation, let us supply and install batt insulation manufactured from recycled cotton denim or even batts drawn from natural sheep’s wool. Not feeling so adventurous? 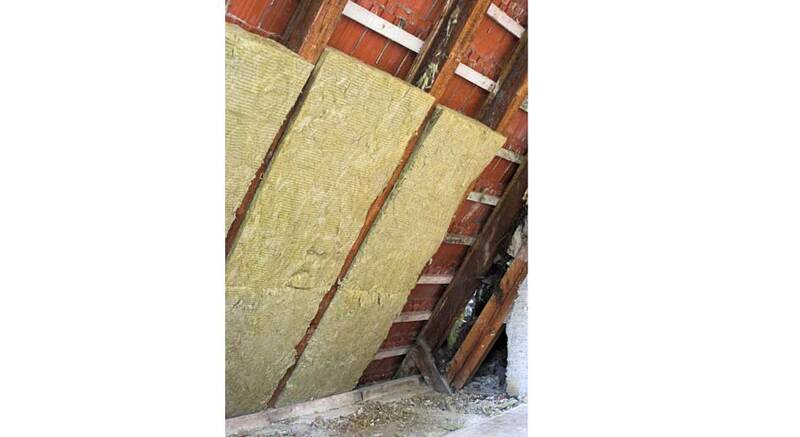 Rock-wool (Rocksul®) is more natural, less processed, lower embodied-energy, and an all-around more eco-friendly insulation than that cheap, itchy pink fiberglass. While the attics of many homes are woefully under-insulated, a commonly overlooked companion issue is that of ventilation. We ensure that your attic is appropriately ventilated to properly exhaust summer heat and humidity before undertaking to add insulation. Ventilation keeps the attic – and your living space – cooler and less humid while extending the life of your shingles.